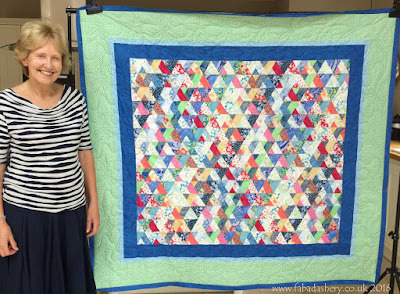 The quilt design is called 'The Birdwatcher' by Tracey Bowen and was a quilt project which Sarah picked up on her travels in New Zealand. 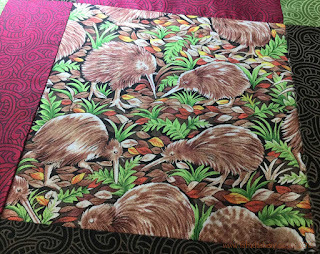 The fabrics feature a variety of birds native to the islands including the Kiwi, the Tui and the Saddleback. 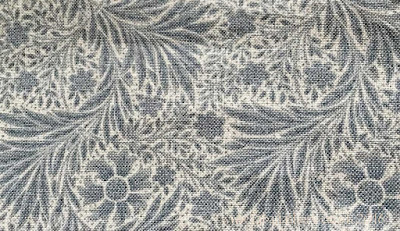 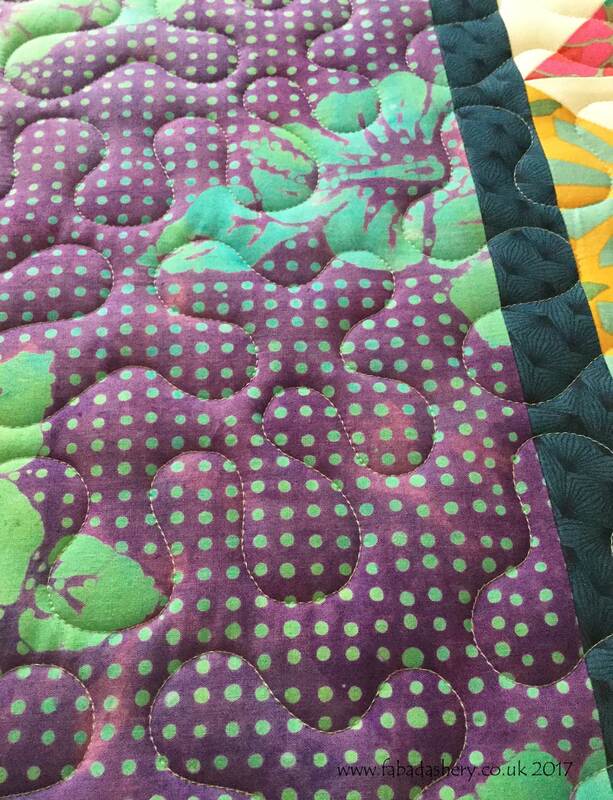 The fabrics Sarah used to complement her feature blocks was also from New Zealand and were printed with patterns found in Maori art. 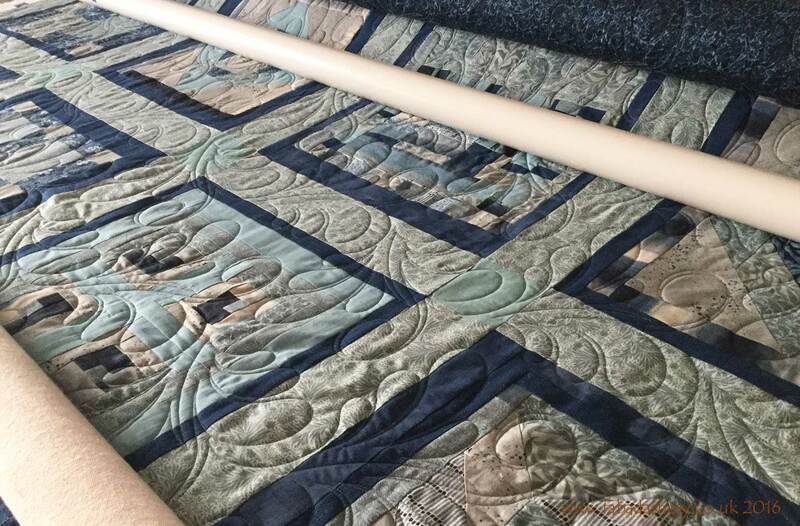 We used a deep grey / brown Isacord (1375) for the thread and 100% Hobbs Polydown for the wadding. 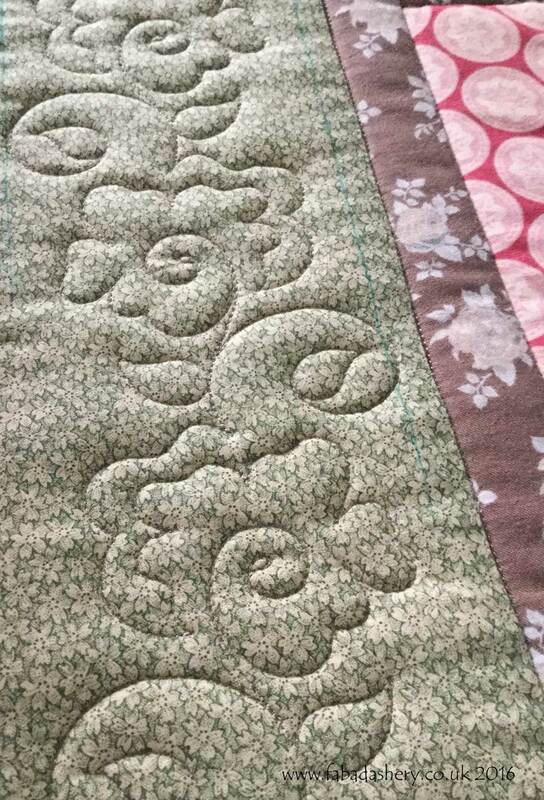 Sarah had chosen a lovely soft grey fabric for the back and once finished the thread colour and quilt pattern looked fabulous on the back as well as the front. 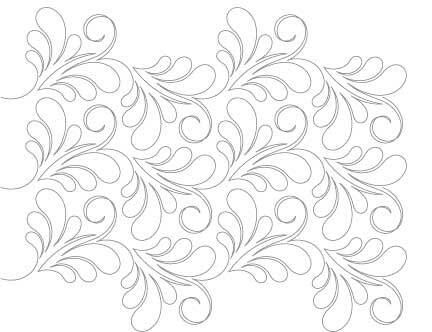 She wanted a quilt design which reflected the traditional New Zealand patterns which featured on the fabric. 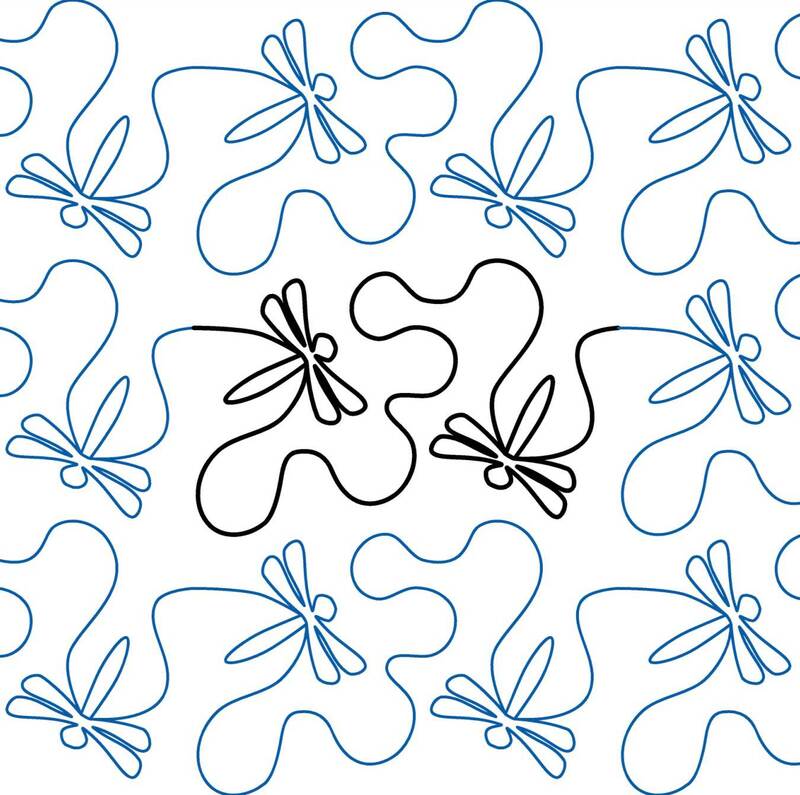 As soon as I saw them I immediately thought of this 'Bird's Eye View' digital pantograph by Barbara Becker. 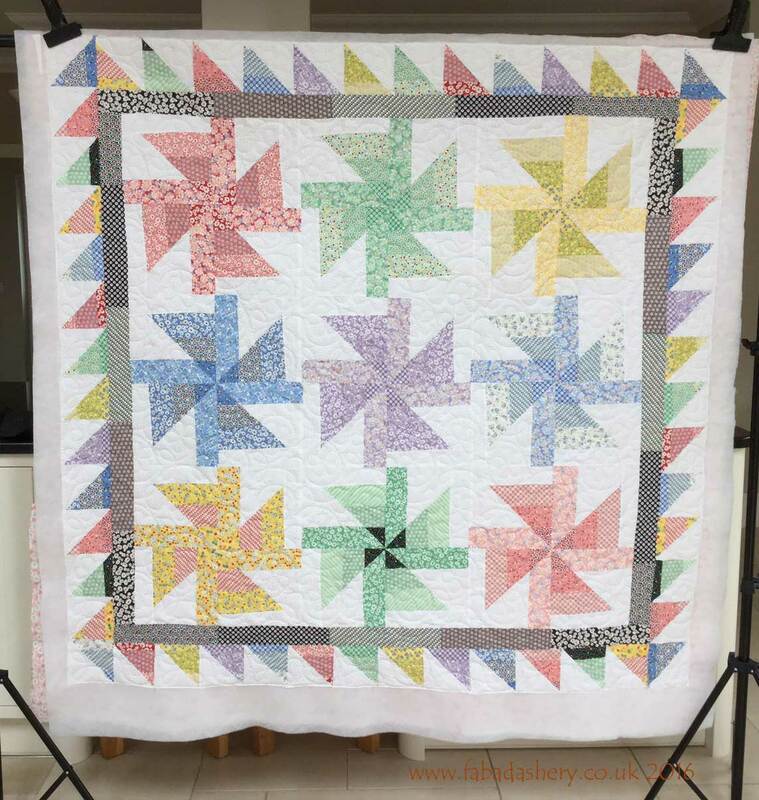 I have been waiting for an excuse to add this to my collection for a while, so I am pleased Sarah popped by with her quilt. 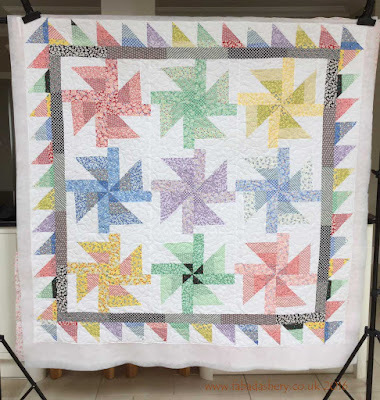 This is a lovely sampler quilt made by Lynne and includes all our favourite quilt blocks - Dresden Fan, Log Cabin, Flying Geese, applique, and even some 'improv' blocks. 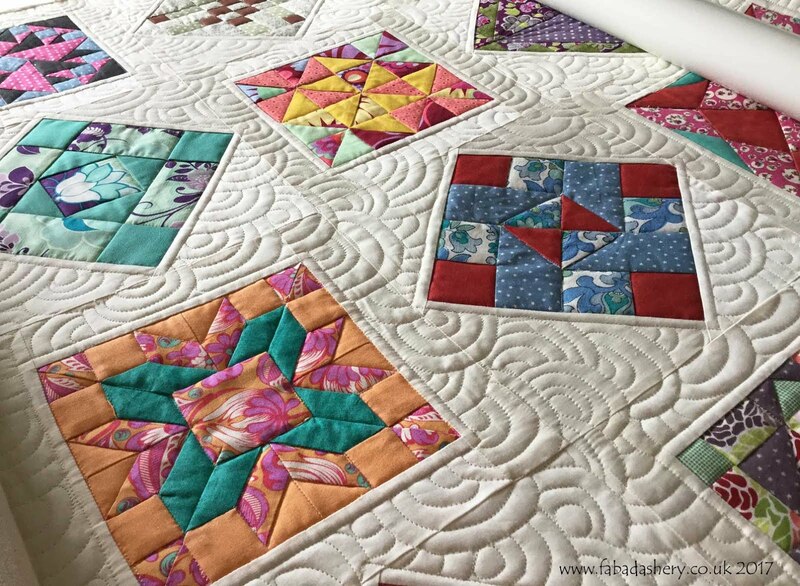 She started making the quilt blocks as part a class held by Jenny Lester at Poppy Patchwork in Bristol last September and added a few of her own to make a good sized bed quilt. 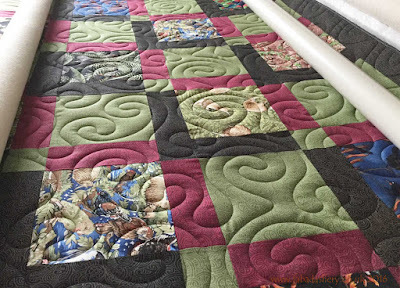 Now this is quilted it just needs the binding and it will be ready for use. ﻿My customers have been keeping me busy on the quilting machine this week. 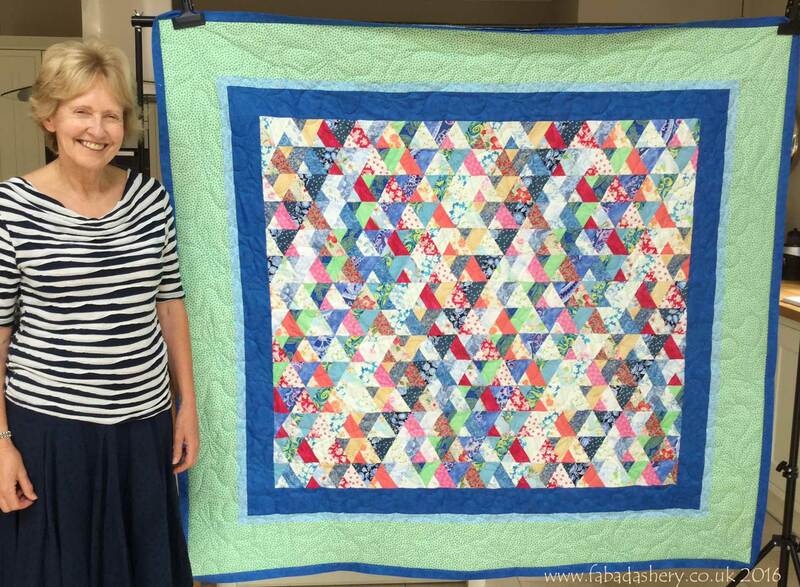 Helen and her Mum brought in this Jelly Roll quilt which she has made for a kind friend. 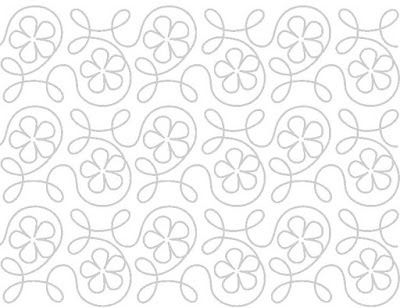 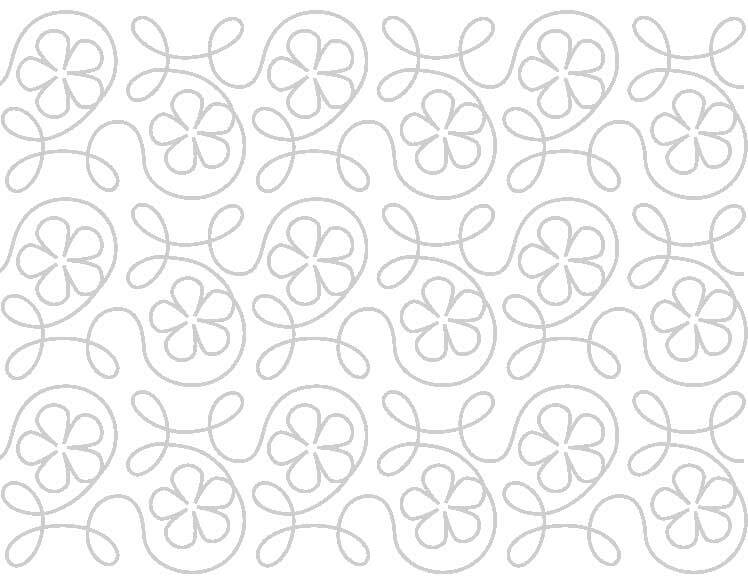 It is a design from one of the first Pam Lintott Jelly Roll quilt pattern books. 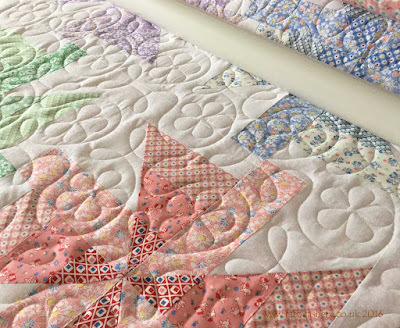 The lovely soft, pastel colours were fabrics from a Moda Jelly Roll '30's Playtime' and with so many flower motifs all over the quilt we used this as the starting point for choosing a quilting design. 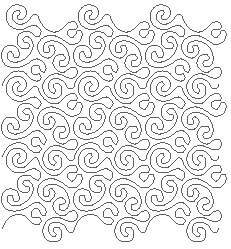 ﻿The digital pattern Helen chose was 'Ginger Flower' by Apricot Moon, which is always a popular one with my customers. 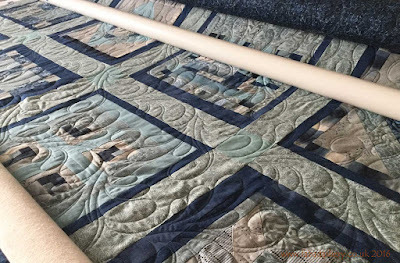 For the wadding we used Hobbs 100% Polydown which will be great for washing, and for the thread we used Magnifico 2169, Elegante. 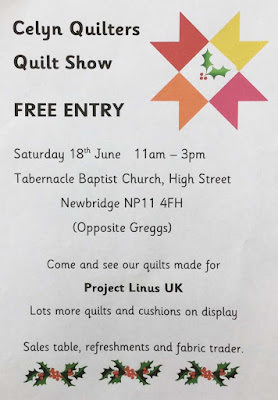 Helen is a member of Celyn Quilters and they are having their 2016 exhibition in Newbridge, Wales, this weekend - do pop along, you should be able to see this lovely quilt in the flesh. 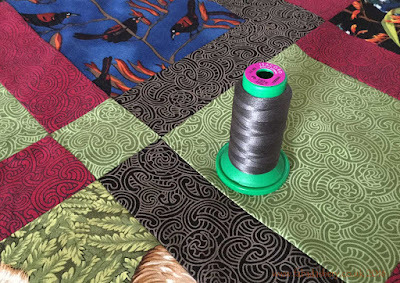 ﻿Over the past few weeks this has pretty much been my view of the world at Fabadashery Long Arm Quilting, as I have been quilting one of my own hand pieced quilts. 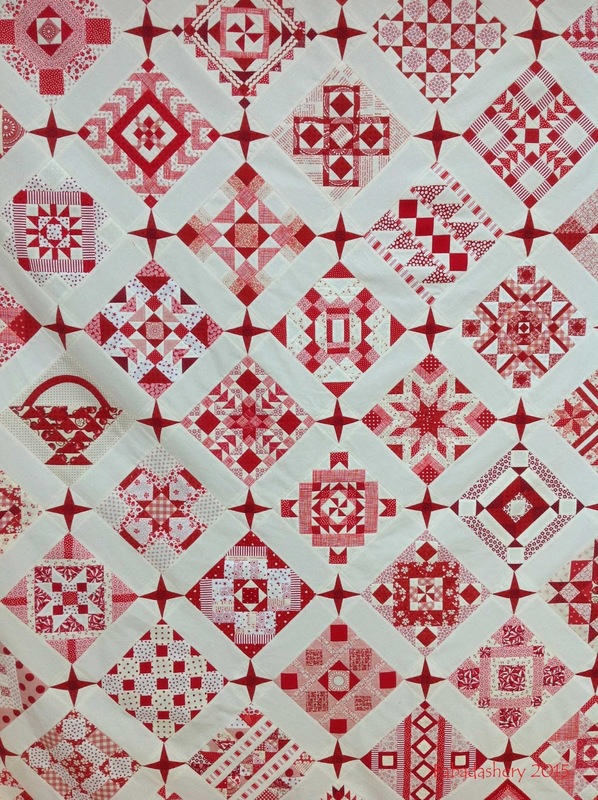 Since February 2013 many of you may have seen me hand piecing a red and white quilt blocks for my 'Nearly Insane' quilt and now, in June 2016, it is finally quilted. 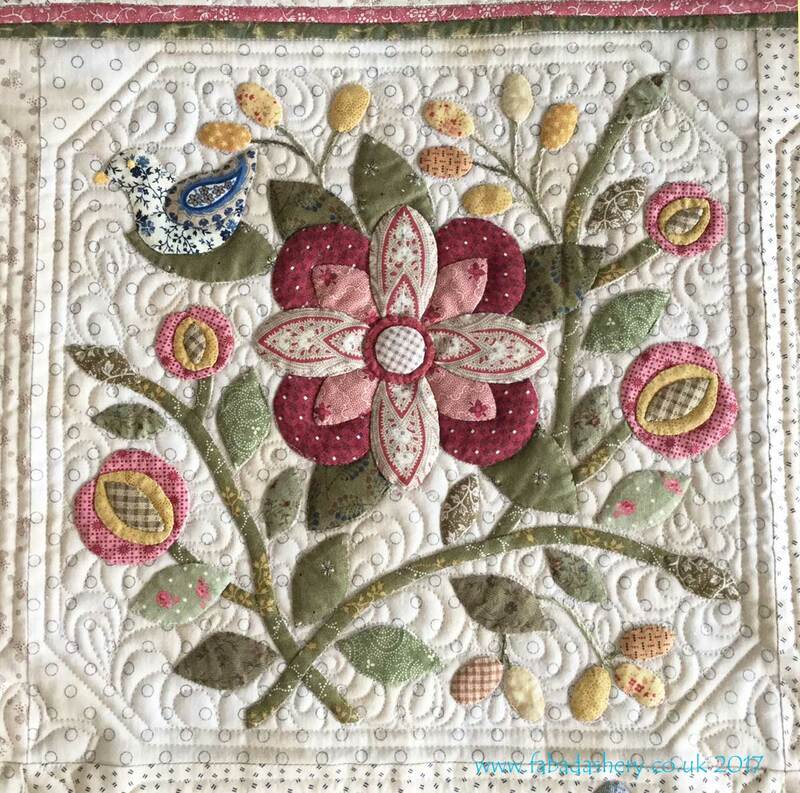 You can follow the full journey on my other stitching blog. 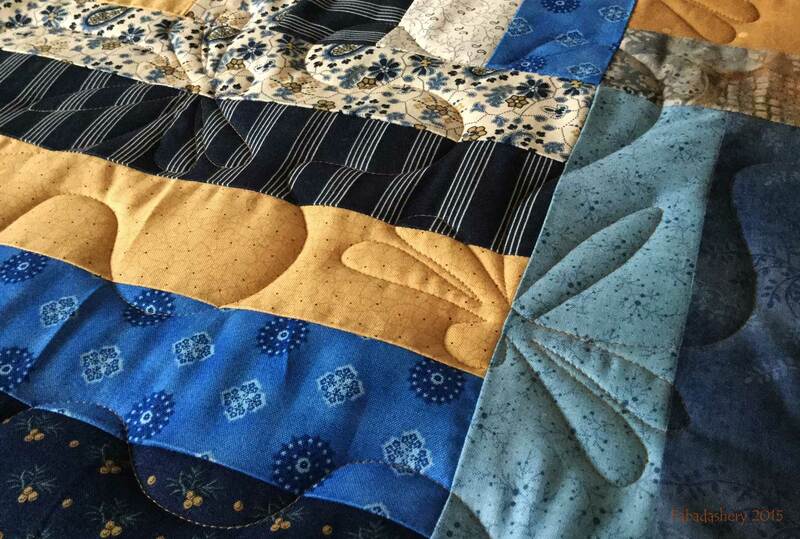 Sometimes you start a project in all innocence of where it is going to lead you. I just wanted a hand stitching project that I could carry around with me. 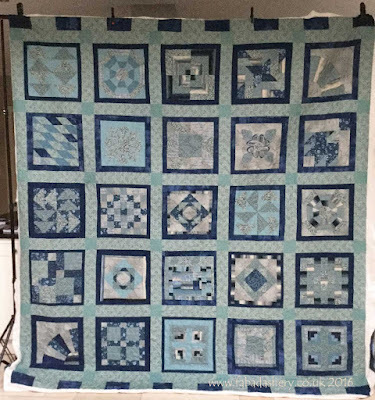 Gradually, as I accumulated more blocks, I started to think how I was going to quilt it. Some of the pieces are small, with one 6" block having about 244 pieces in it. 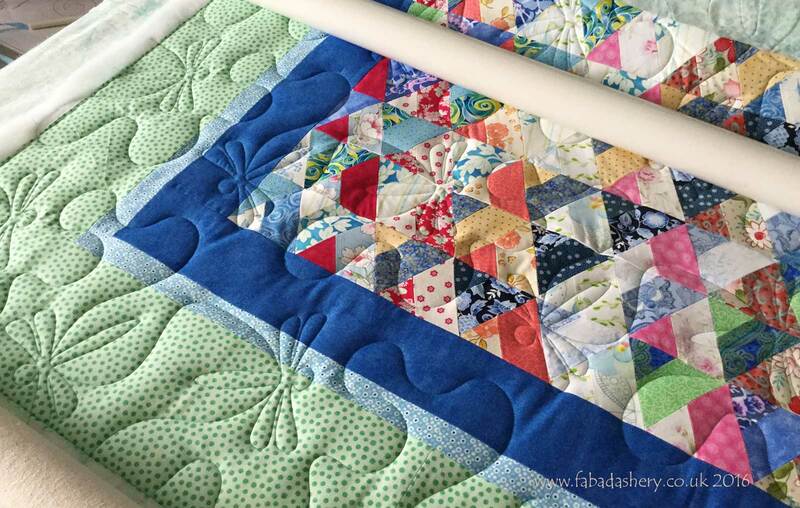 I knew I wasn't up to hand quilting blocks with SO MANY seams in them. 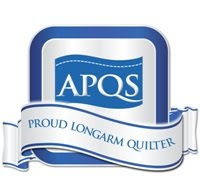 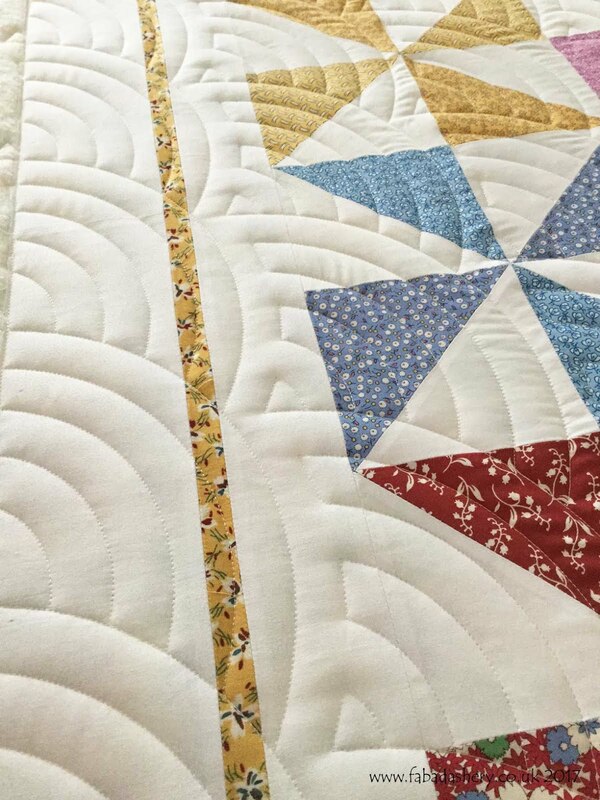 I didn't even have the patience of struggling with it under my domestic machine, so this is when the seed was planted to invest in a long arm quilting machine. 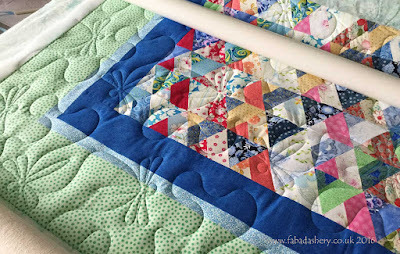 Having decided I would be custom quilting it, I spent a lot of time ruminating about what design I would use. 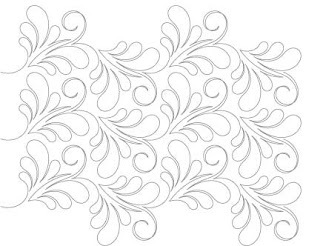 I spent several days with rulers, paper and pencils trying out different ideas and auditioning them on the machine, until I found a design which I was satisfied with. Once I had a road map in front of me, although time consuming, the stitching has been quite straightforward. 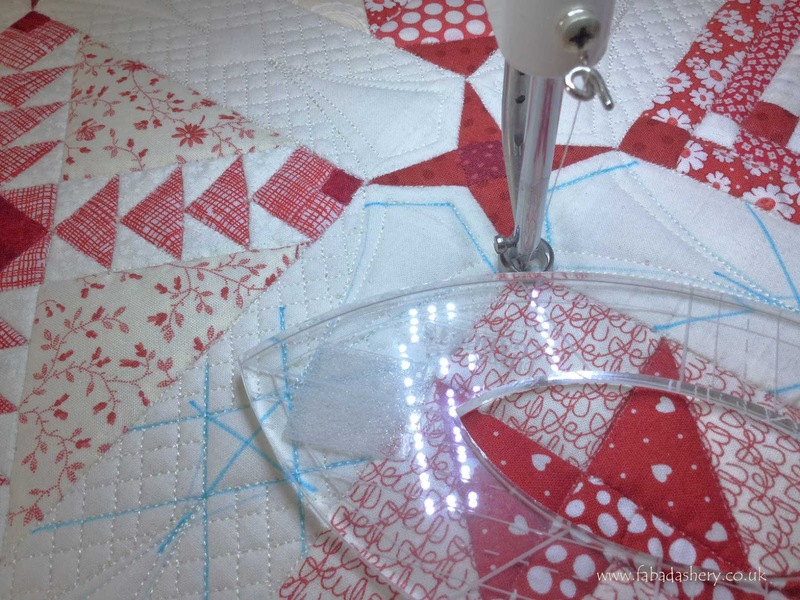 All the quilting on it has been hand guided and you can see in the picture that I have been using a long arm ruler to get the shapes and straight lines that I needed for the design. 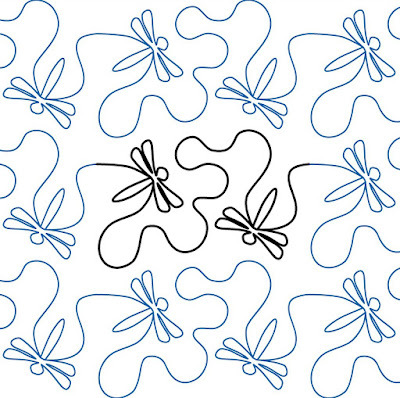 The blue marks are a water soluble pen, which are washed out as you go. 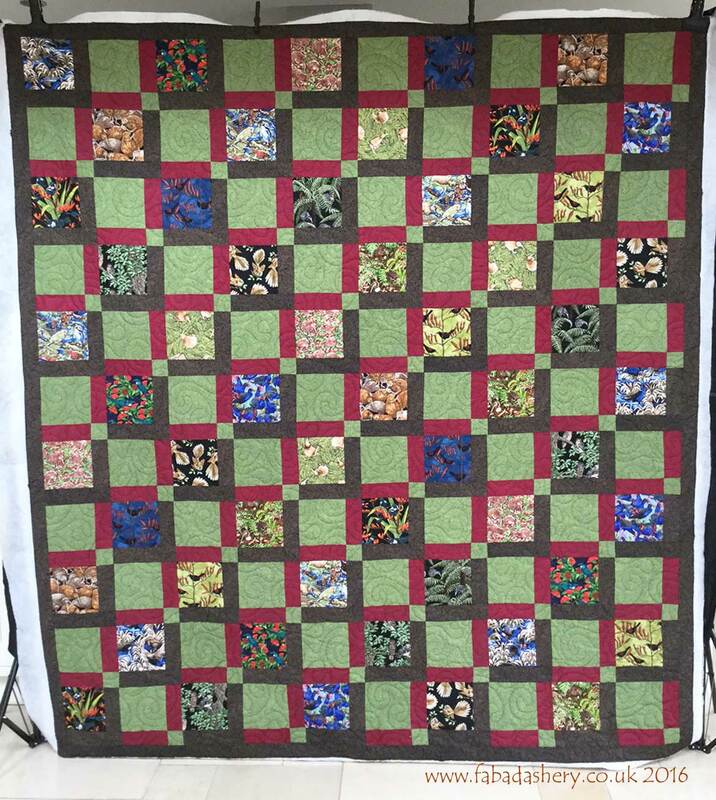 The quilt is off the frame now and I am slowly stitching on the binding, ready for display at the Festival of Quilts in August 2016. 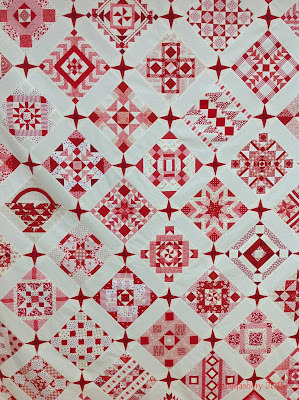 Sue had chosen bright cheerful fabrics in her quilt and finished it off with a series of borders. For the quilting, Sue chose an all over digital design, 'Dragon Wings' which features dragonflies, which added to the summery feel of the quilt. 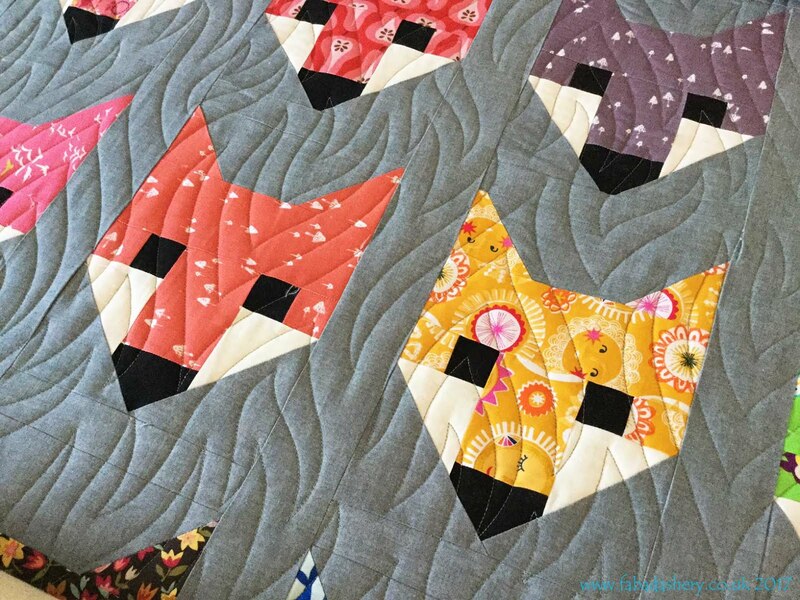 This pattern always adds a fun element to a quilt and the pattern came up beautifully on the back. 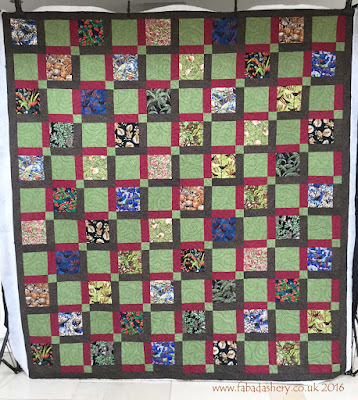 Thanks Sue, for letting me quilt such a cheerful quilt.